The month of March is sure to set a record for E-Crane International USA. 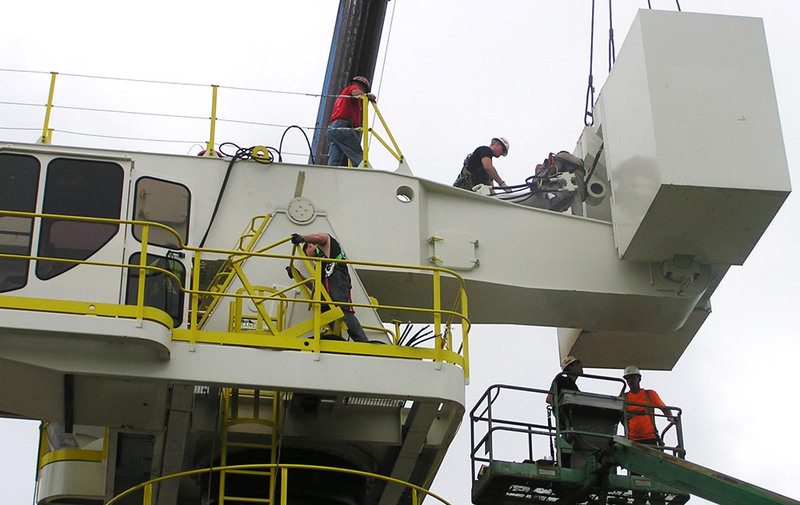 Five E-Cranes installations across the United States will be in progress simultaneously. The first crane that arrived in the country is a 700 Series / Model 4248 pedestal mounted E-Crane for GenOn Energy inc. 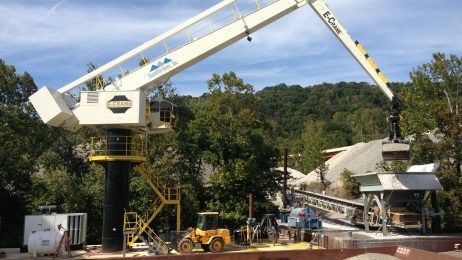 The E-Crane will be used to unload gypsum brought in by railcar at their facility in Newburg, Maryland. The E-Crane arrived in Baltimore at the end of January and was transported to GenOn’s facility in early February where it is ready for installation. 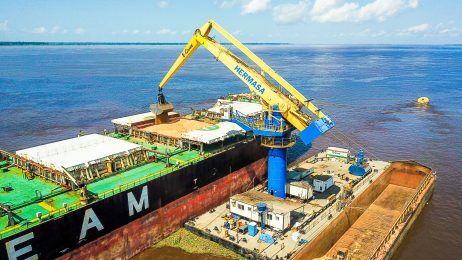 The second E-Crane to arrive in the states is for the Savage Valero plant in New Orleans, Louisiana The crane reached port in Mobile, Alabama on March 5 where it will begin travel to New Orleans. 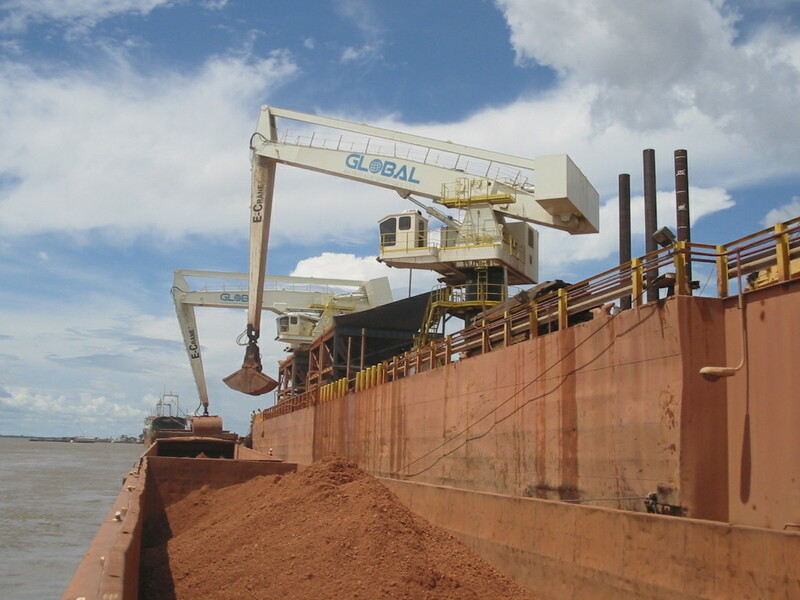 This 1500 Series / Model 9317 crawler mounted E-Crane will be used for coke handling at the plant. Installation and assembly is schedule to begin on March 14. Traveling further west across the country, a 700 Series / Model 4290 pedestal mounted E-Crane is scheduled to arrive in Houston on March 11. The new E-Crane will be installed at the American Recycling scrap yard in Fort Worth, Texas where it will be used to feed a shredder. Installation will begin at the end of March. Lastly, two MH1200 Series / 11290 E-Cranes will be erected for CalPortland in Seattle, Washington at the end of the month. 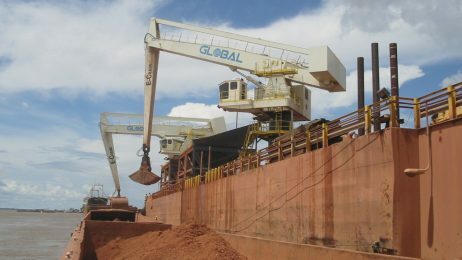 The first shipment of parts containing the two E-Crane lowers is to arrive at the shipyard on March 18. A second shipment with the rest of the crane parts will arrive on March 29 for installation. 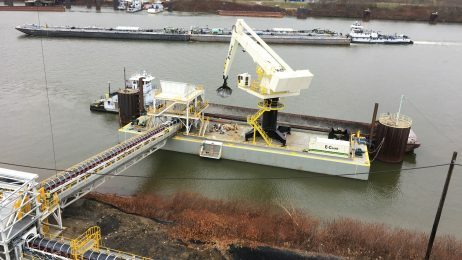 The two E-Cranes will be mounted onto a single barge where they will be used for unloading tunnel spoils out of river barges into a hopper. March will prove to be a busy month for E-Crane, but our engineers and service technicians are up for the exciting challenge! It takes tremedous coordiation and disiplince to accompilish one deployment, let alone 5…Very Impressive!